Ideological exclusion violates Americans' First Amendment right to hear constitutionally protected speech by denying foreign scholars, artists, politicians and others entry to the U.S.
PR Log (Press Release) WASHINGTON, D.C. (MWA) – Muslimah Writers Alliance (MWA) in continuation of a campaign launched by the American Civil Liberties Union (ACLU) to eradicate ideological exclusion, urges your support of award-winning Palestinian journalist, Mohammed Omer. Omer, scheduled to appear in the U.S. as the April 5 leg of his Newberry Library event, "Reflections on Life and War in Gaza", hosted by Haymarket Books, was set to take him through Chicago, Houston and Santa Fe. However, an extended hold placed on his visa application at U.S. consulate offices in The Netherlands has effectively canceled the planned speaking engagements. It appears that Omer, also a correspondent for the Washington Report on Middle East Affairs (WRMEA), reportedly residing in The Netherlands subsequent to being brutalized by Israeli soldiers in June of 2008 as he attempted to re-enter Gaza after receiving the Martha Gellhorn Prize in Journalism in London, is perhaps the latest victim of ideological exclusion on the part of the U.S. government. In further exacerbation of the post-9/11 Islamophobic climate that the Muslim community finds itself in today, the United States government has adopted the practice of denying visas to foreign nationals whose political views the government apparently disfavors. Once used to bar suspected Communists from entering the country, the practice of "ideological exclusion" was resurrected by the USA Patriot Act. Ideological exclusion violates Americans' First Amendment right to hear constitutionally protected speech by denying foreign scholars, artists, politicians and others entry to the U.S.
Foreign nationals recently denied visas include Fulbright scholar Marixa Lasso, Oxford's Tariq Ramadan; respected South African scholar and vocal Iraq War critic Dr. Adam Habib; Iraqi doctor Riyadh Lafta, who disputed the official Iraqi civilian death numbers in the respected British medical journal, "The Lancet", and more. The ACLU was instrumental in resolving the visa delay issues of prominent scholars, Habib and Ramadan, as announced in January 2010 when Secretary of State Hillary Clinton chose to "exercise her exemption authority" for the pair's benefit, thus lifting the ban on their entry into the United States. Ramadan added, "The decision brings to an end a dark period in American politics that saw security considerations invoked to block critical debate through a policy of exclusion and baseless allegation." 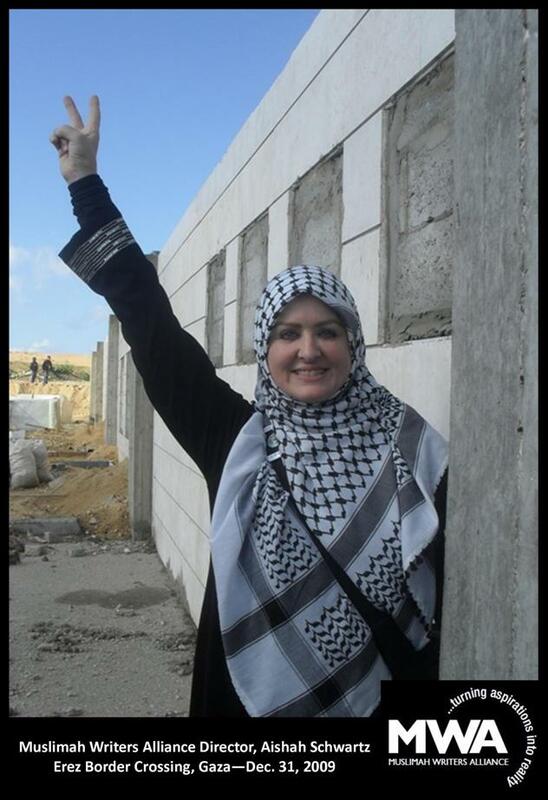 "Clinton's decision may have benefited Professors Habib and Ramadan, however, it does not seem to apply to Palestinian journalist Mohammed Omer, or the issue of injustice regarding Palestine in general, particularly in relation to the ongoing U.S. government supported, illegal, Israeli embargo on Gaza," stated MWA Director, Aishah Schwartz, who visited the region in December 2009. "I am more than happy to hear that the Obama administration continues to express intentions toward the pursuit of mutual interests and respect, however, where it concerns the issue of Palestine, regardless of what administration 'officials' express, we have yet to hear directly from our President. Mr. President, with all due respect, while we have seen you on YouTube and even Fox News in support of the 'change' your purport our nation needs, your silence on Gaza is nothing short of betrayal." "On the subject of Palestine, I have heard time and again, 'if only Americans knew'. What threat do journalists like Mohammed Omer, who have lived and breathed the reality of life inside the prison walls of Gaza hold, that should exclude them from being free to deliver the truth to those otherwise unaware?" Schwartz added, "What is it that the U.S. administration doesn't want its citizens to fully understand? It's liability for facilitating the travesty of injustice hurled upon the citizens of Gaza in December 2009 when more than 1,400 people were mercilessly slaughtered with U.S. tax payer funded Israeli bombs?" The January decision on behalf of Habib and Ramadan brought initial hope that the practice of ideological exclusion would soon draw to an end, however, the unexplained decision of the U.S. consulate in The Netherlands denying an entry visa to Mohammed Omer indicates we must continue to urge the Obama administration to transition from words to a comprehensive move through actions. Contact President Obama, Secretary of State Hillary Clinton and U.S. Ambassador to The Netherlands, Fay Hartog Levin by telephone, fax or email and urge them show us that they are willing to facilitate the professed pursuit of a new relationship with Muslim communities on the basis of mutual interest and respect, and that they are willing to renounce the subjugation and erosion of the First Amendment rights of American citizens to hear constitutionally protected speech by facilitating the entry visa of Mohammed Omer with all due haste. Schwartz concluded, "When I returned from Gaza on January 2, after seeing first-hand the devastating conditions under which the Palestinian people continue to suffer, I vowed to pursue justice on their behalf by supporting the right of the Palestinian people to a peaceful co-existence and an end to the inhumane embargo on Gaza that continues to support an unfathomable humanitarian crisis. I am asking you to join me in the ongoing campaign." "Reflections on Life and War in Gaza" is sponsored by Haymarket Books in cooperation with: American Friends Service Committee-Chicago, Committee for a Just Peace in Palestine and Israel, Episcopal Diocese of Chicago-Peace and Justice Committee, the International Jewish Anti-Zionist Network, International Socialist Organization, International Solidarity Movement-Chicago, Islamic Medical Association of Northwestern University Feinberg School of Medicine, Jewish Voice for Peace, Middle East Task Force of Chicago Presbytery, National Lawyers Guild-Loyola, Neighbors For Peace, Students for Justice in Palestine-DePaul and UIC chapters, and Ta'anit Tzedek—Jewish Fast for Gaza. Additional background on the case of Mohammed Omer available here. 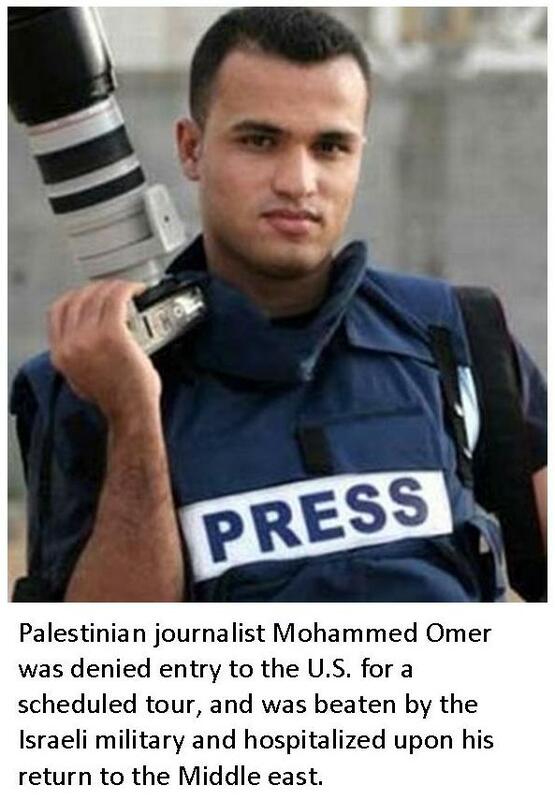 Support Mohammed Omer via Facebook here. Read articles written by Mohammed Omer for WRMEA here.